On top of posting all things makeup/beauty related (tips, before and afters, hauls, swatches, etc) I want to also post the deals that are often missed on these top brand items. Just because a palette is $44 dollars – It doesn’t mean you have to pay $44. This cute little hobby of ours can get quite expensive and I want to help you guys out as much as possible. If you have an Amazon Prime subscription, and you purchase today, you’ll have your shipment on Monday 3/7. 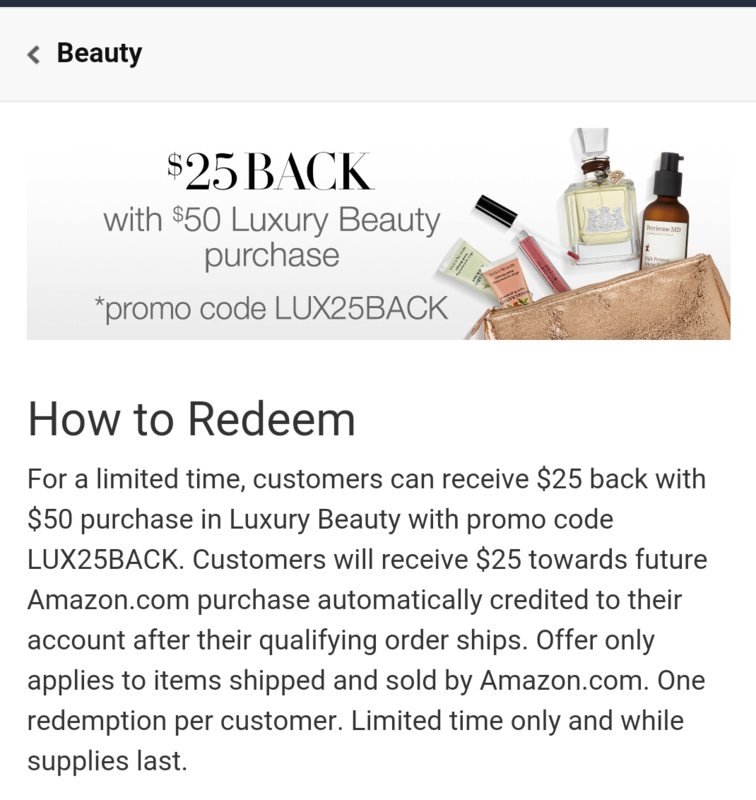 The promo reads that a $25 credit will be added to your Amazon account for future purchases. Now, I don’t know about any of you, but I use Amazon all the time. Most of the time I keep a running credit in my Amazon account, so when I need to make an emergency purchase it’s there.